We all have a mixed feeling for Wednesday. We are happy because there are only 2 days left until the weekend, and we are also not that happy since there are still 2 days left until the weekend. Your brain and body can be tired by Wednesday, why not add some fun to your boring routine and give it an exciting boost? Here are some hilarious coffee mugs we have found for you from Amazon. You sure will have more smiles whenever you see them while working in front of your desk. Have you ever experienced the situation that you get to attend so many meetings that you actually have little time left to do things that are assigned to you at the meeting? Sometimes, an email is enough to explain. Be sure to hide this mug from your supervisor! You might have to suit up when working in the office, but you can still rock n’ roll at your time. Grab this bass guitar mug and enjoy your private rock world. Lego can be a toy for all ages. Though there is a limited time you can play or relax during working hours, a-minute instruction building while drinking coffee is totally fine. As the technology develops, scientists have utilized more and more high tech/smart technology in everyday products. This heat-changing constellation mug sure will be a cool thing to have in the office. The ninja mug itself is a little bit boring, but the fun part is its accessories. The sword spoon, the ninja mask mug holder, and the shuriken cup mat. You are never tired of this creativity. We might have heard that desserts can make people happy, but our weight might not be very happy if we become sweet addicted. Therefore, this cute pink donut mug is perfect for both emotion boost and weight control! Coffee is a must for workdays. 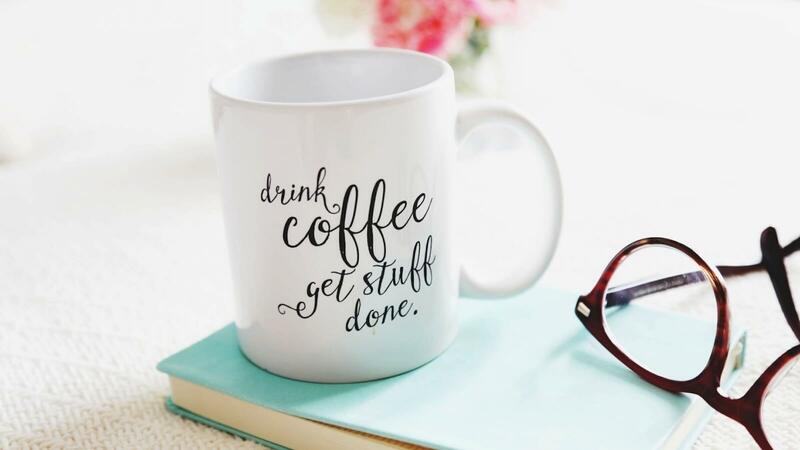 You might accidentally get the name of “coffeeholic” by holding coffee wherever you go, and this coffee prescription mug is great to tell people that you are working on it. Star War fans, this one is for you! Working with your favorite movie character can definitely bring you more energy and excitement. You can also choose other characters if you want, such as Chewbacca, Darth Vader, Strom Trooper, etc. The whole office can start a Star War party in a minute! Interested in other office gadgets? Check out our Best Office Gadgets post!